Brave New World: The Mysterious Bookshop Finds A Survival Answer? Sometimes we miss news, or items, which at the time didn't make our radar. Today we come across one such story, which at a time when many bookshops are struggling to see the way ahead, may well offer some food for thought. Driven by the realism of the book market for independent bookshops, Otto Penzler woke in the middle of the night and had an idea. Otto thought that if he asked some of his author friends to write a profile of their series characters, he could then print them and give them away with a book purchase as a special souvenir. 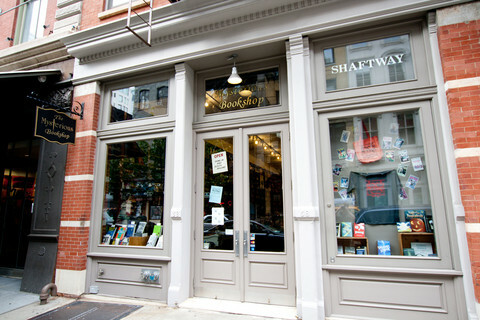 Otto is the owner of the Mysterious Bookshop in New York, which specialises in crime, mysteries and thrillers. This idea wasn’t his first and he had previously commissioned an original story from one of his author friends each Christmas. The story had to be set during Christmas, have an element of mystery and be part set at the Mysterious Bookshop. He would then print the story and give it as thanks to his customers at Christmas. He produced the new profiles in collector sets of 100, all signed by the author and as they say, the rest is history. The initiative helped sustain the business and years after its initiation it still worked. He went on to publish the profiles as a collection, with Little Brown in US and Quercus in the UK. ‘The Lineup’, featured character profiles from authors such as; Lee Child, Michael Connelly, Colin Dexter, Ian Rankin, Alexander McCall Smith. Even if this is old news, it is still relevant news and gives us all food for thought.